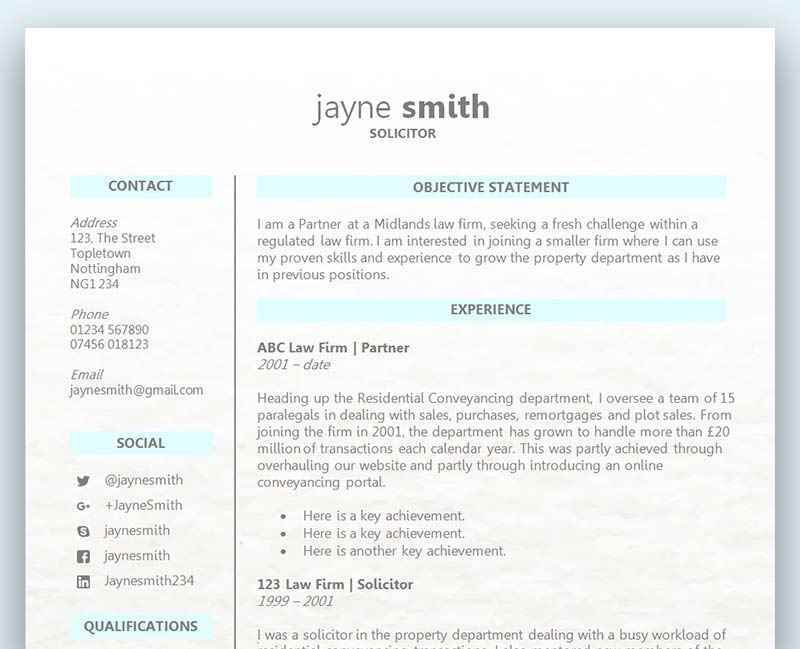 Clean, fresh and attractive, this résumé template is very subtle in design but doesn't want for anything more. A large header and soft lilac sub headings divide up your information, and the Century Gothic font gives everything a clean professional feel. 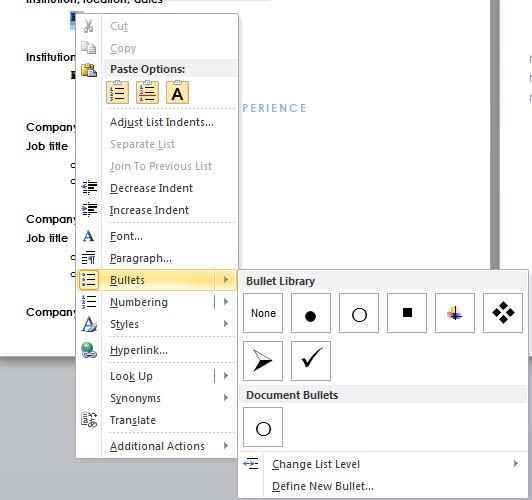 Bullets are used to organise the sections, with a page icon for your education details and a simple circle for your employment details. These are easy to change if you'd rather use a different icon. Lilac Bullets CV/résumé template	Overall rating:	3	out of 5 based on 2	reviews. The Century Gothic font is the ideal choice for any smart, professional CV template and combined with some subtle hints of lilac, this is a really smart, crisp template that feels clean and uncluttered but still manages to stand out from the crowd. We’ve all fell into the trap of assuming the hobbies section is the least important when it comes to writing a CV, but have we been wrong in believing that all this time? There are lots of dividing opinions on the importance of hobbies and interests on a CV, but in our experience we find that the most impressive CV’s make better use of this section and realise its full potential. When the hiring manager reads a CV he or she wants is looking for a passionate and hard working individual. One of the best places to demonstrate this is the hobbies section as it allows you to represent your creative and passionate side. The hiring manager is used to skipping over the hobbies section as it doesn’t usually contain anything of importance, however your CV can be very different to the norm and you have the chance to grab the readers attention. Remember, the manager has never met you and is trying to build up a picture of how you would fit into their team. Personalities are very important to any manager, and typically a CV doesn’t give too much away. You might also get lucky and find that the manager shares some of your hobbies and interests. Above all else you want to make a great first impression and leave the reader wanting to know more. You shouldn’t have to just rely on your skills, qualifications and experience to do that.